How do we help you make more money online? Working with a developer shouldn’t be confusing. We remove the tech talk to communicate how we can help grow your business (in plain English). You have too much to worry about to wonder when your developer is going to respond to an urgent email. Timely responses are an essential part to a successful partnership. Why take a chance with your company? You need someone with proven results of building websites and helping to grow your online business. With over 15 years experience in building websites, I have seen the stress and confusion that comes with working with a developer who doesn’t communicate clearly when it comes to turning your business goals into a website and marketing plan. Getting a website that makes you money shouldn’t be so complicated. That’s why we cut out the technical talk and communicate with you in plain English, so you can feel confident and make more money. Thomas has come in with a clear plan of action. Your business is important. We want to double it in size. You have 5 seconds to make what you do clear to your customer. Most companies are too deep into what they do to make it simple to understand. 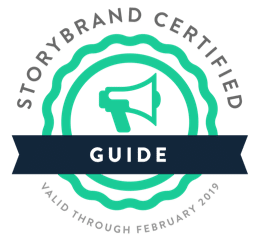 We use the proven StoryBrand 7-Part Framework to ensure what you sell is clear. 38% of people leave a website if it’s unattractive. Our creative director will better understand your needs and make sure you look better than the competition. Over 70% of sites are vulnerable. Bad code can you get your website hacked and set you back in Google. Our lead developer and certified developers will make sure your code is ready to scale with your growth. 63% of businesses struggle to get leads. 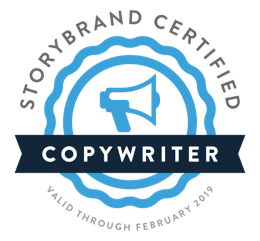 Targeting your customer’s pain points and providing significant value are a sure-fire way to get a customer’s email address, which is worth 40x every dollar spent. 81% of visitors do online research before buying. With only 19% are ready to buy, these leads needs to be warmed up. Let’s do our due diligence of educating and providing value over email. 78% of businesses aren’t happy with their conversion rate. There are three phases of a customer’s journey to making a purchase. We make an assessment and advise of affordable improvements to help you make more sales. Get back to running your business. We’ll handle the hosting and maintenance to ensure your website is running fast, secure and stays up to date with everything you need. Over 34% percent click the first search result. High quality content, technical updates and building credible links to your website will provide you with more visitors.